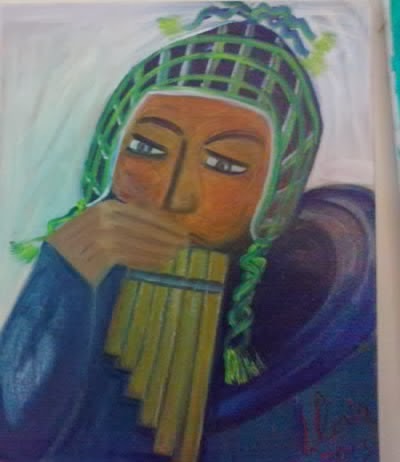 I, Gloria Poole, of Missouri since Oct 2009, but born in Georgia, painted a series of oil paintings that are intended to represent different ethnic groups and cultures. I began that series in the year 2006; and continue to add to it. Most of those series of about 30-35 oil paintings have been displayed altogether before, as I am doing with this set of the newest batch I painted since about mid-summer last year. I intended to display these altogether somewhere, and GOD bless Google, they let me have this blog! I do have other blogs that I put art I create on, and they are well known about me. This is a new blog I began today because I had scattered these ethnic paintings across several blogs and people couldn't see them altogether in one place. I have labeled each painting I painted and photographed and put here. 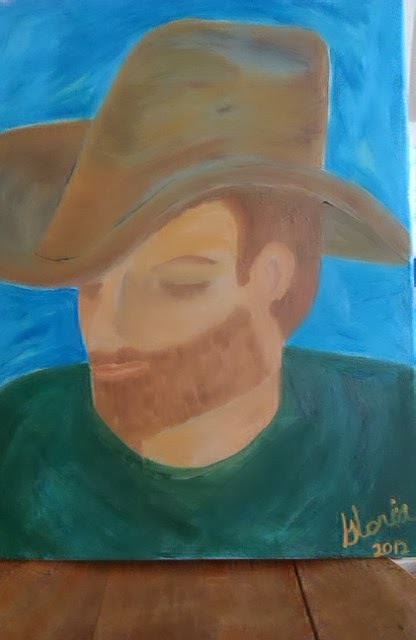 "Sleeping in a stetson" oil painting by Gloria Poole of Missouri; year 2012; painting is sitting on a chair. "Mexican" oil painting by Gloria Poole of Missouri for ethnic series ; year 2014; painting is sitting on my easel. 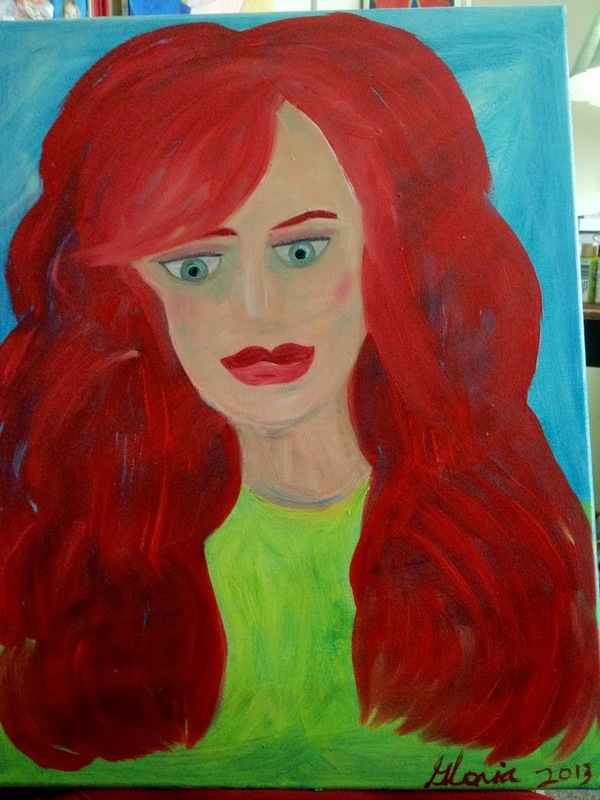 Copyright Notice: I, Gloria Poole, of Missouri but born in state of Georgia [where I had public exhibits of art before] own all rights to this blog and to all content on it. I also own all rights to any art I create, or words I write, any where, for any reason, with a title to it or not, at any time, with any tool, brush, medium, method, at any time. I have never given permission for anyone to represent me or my art. I am also known as merely Gloria since I sign my name that way on paintings on canvas. However, I sign my name often as Gloria Poole on sketches on paper. Gloria Poole is my real, born with, legal name since I resumed my maiden name after second divorce in Oct 2007, which took place in Arapahoe County Colorado. I removed the Pappas name from my name forevermore. 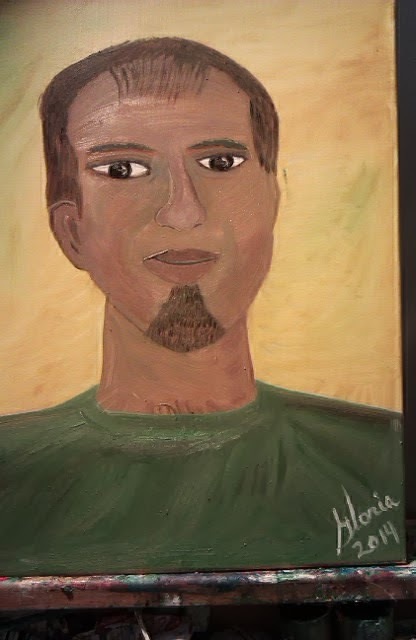 Also, I am known on the web as : gloriapoole; Gloria as on art created and signed by me such as these; and as gloria0817; gpoole817; gloria.poole; gloria-poole; gloria_poole; gloriapoole1749; Ms. Gloria Poole; Poole, Gloria; gloriapooleRN at yahoo; and other variations of my real, born with and legal name of Gloria Poole. Also, for the record: I am a white woman, single again, Christian [Southern Baptist] and the natural mother of two grown daughters who are Jennifer and Leigh. I am also the grandmother naturally to their minor children with their husbands Aaron for Jennifer and Matt for Leigh. I am prolife, republican, and a Registered Nurse, licensed in Missouri, an artist in all mediums; an author of a children's book, a poet, and a blogger on the prolife cause. I was born in the state of GA and educated there, so am a U S citizen by birth. I live alone so no one should be breaking into or logging in from remote to any account of mine but me. This is not a shared apartment; and I am not an employee of any one. 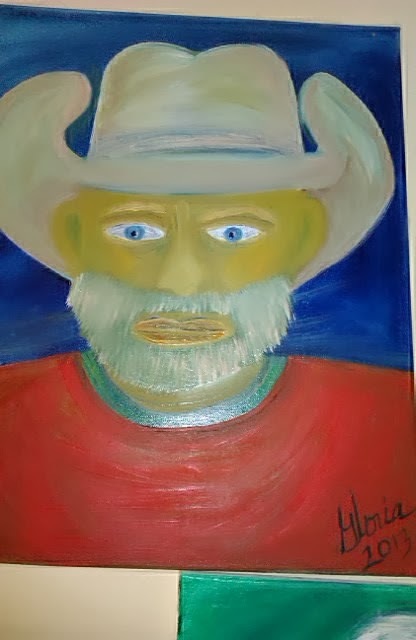 I paint, blog, tweet for the glory of GOD and the prolife cause, and to create art, from my own private apartment in Missouri. you can follow me on twitter at: @gloriapoole; @gloria_poole; @Tartan_Bliss; and on my prolife twitters of @prolifeNurse and @personhood1. 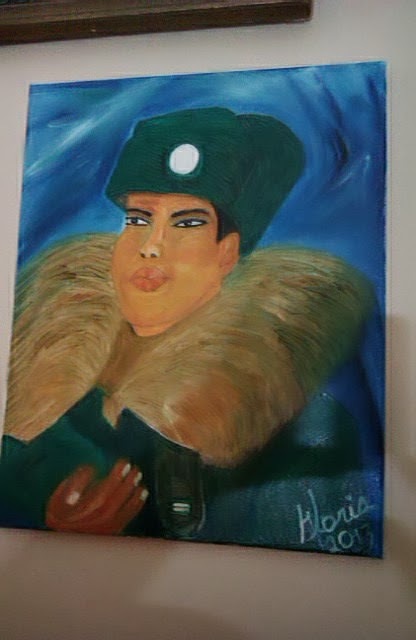 I put art I create on other blogs, and you can see the list of those on my blog at: https://gloriapoole.blogspot.com. Gloria Poole; at my apartment in Missouri which is my only residence; 25-Feb-2014; at 3:07pm.